Today’s Question: Your answer about long exposures a few days ago mentioned that with a very long exposure moving subjects in a scene might disappear altogether. Could this be a way to have people in a scene not appear in a photo? Tim’s Quick Answer: Yes, indeed! Provided there is enough movement of the people during an extended exposure, a long exposure can provide a method for having the people disappear from a scene in your photograph. More Detail: When you capture a photo of a scene that includes some degree of motion with a moderately long exposure, the areas of movement will be blurred. An example would be a waterfall photographed at a relatively slow shutter speed. 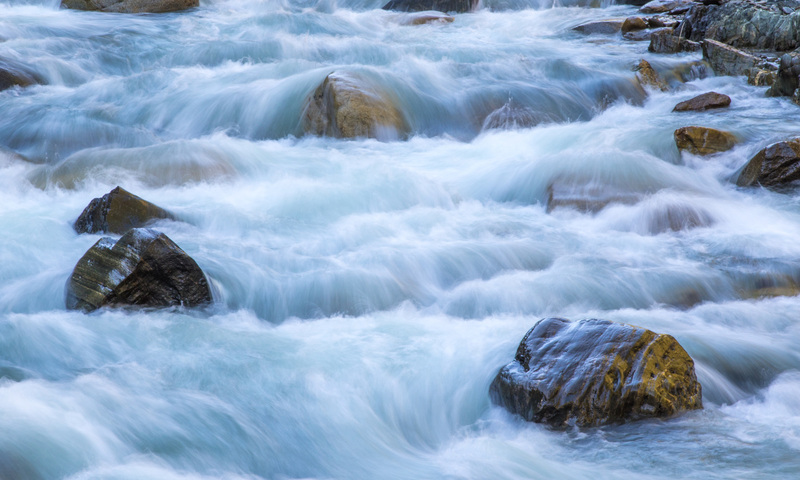 With a fast shutter speed you can see considerable texture and detail in the water, while with a slow shutter speed the water will take on a smooth and silky appearance. With a scene such as a waterfall, the degree of detail will gradually diminish as the exposure gets longer. In some cases, however, a particularly long exposure can cause moving subjects to simply disappear altogether from the frame. For example, let’s assume you are capturing a 30-second exposure, and that during the exposure a bird flies through the frame. If the bird takes one second to fly across the full frame, it would only appear within the frame for 1/30th of a second. Furthermore, the bird would only appear in a specific portion of the image for a tiny fraction of a second. That simply wouldn’t be long enough to register as visible pixels in the final image. This same concept can be used to capture a scene containing people so that all of the people disappear. The challenge is to make sure the exposure is long enough (and the movement of the people great enough) that the final photo won’t contain any people at all. If the scenario involves a single person walking briskly through your scene during the exposure, a 30-second exposure would almost always be adequate to ensure the person doesn’t appear in the photo at all. In other cases you might need a significantly longer exposure to accomplish this. But as long as the exposure is long enough and the movement is fast enough, a long exposure can indeed cause all people to disappear from a photo of a scene.